Fancy a spectacular night of comedy this Autumn? Then you’re in luck, tickets for Melton Musical Theatre Company’s production of the British classic Fawlty Towers are now on sale. 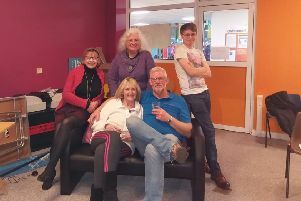 The group will be performing three episodes including Waldorf Salad, Communication Problems and The Hotel Inspectors over four nights at Melton Theatre, from Wednesday, Ocotber 14 to Saturday, October 17. A spring 2016 production of Oliver has also been planned and children aged eight and above are encouraged to join the Melton Musical Theatre Company ready to start singing rehearsals in October.